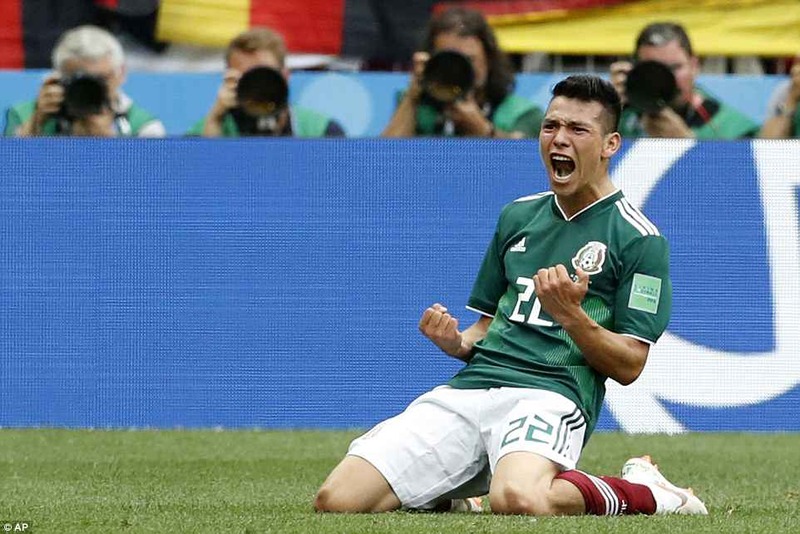 Mexico’s Hirving Lozano became an overnight national hero as he scored the goal to send Germany crashing to their first defeat in an opening World Cup game since 1982. 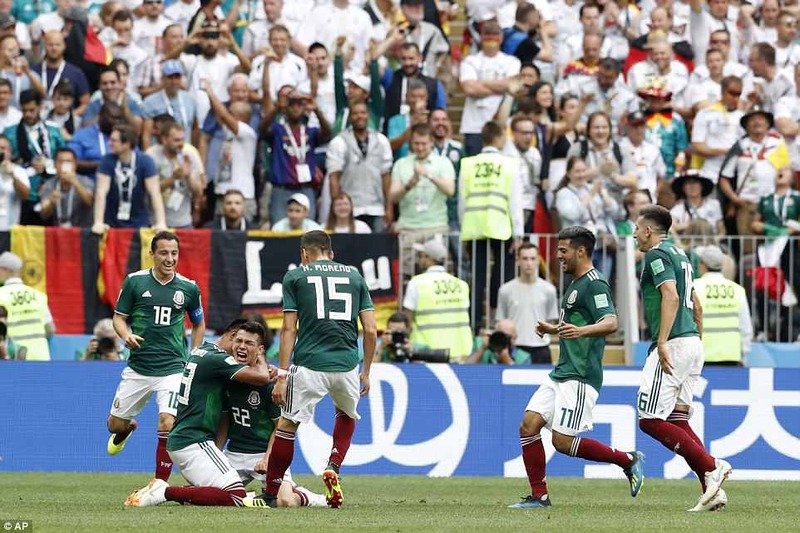 In a rocking Luzhniki Stadium in Moscow, Mexico went at the reigning world champions from the very first minute and deserved every bit of this win. 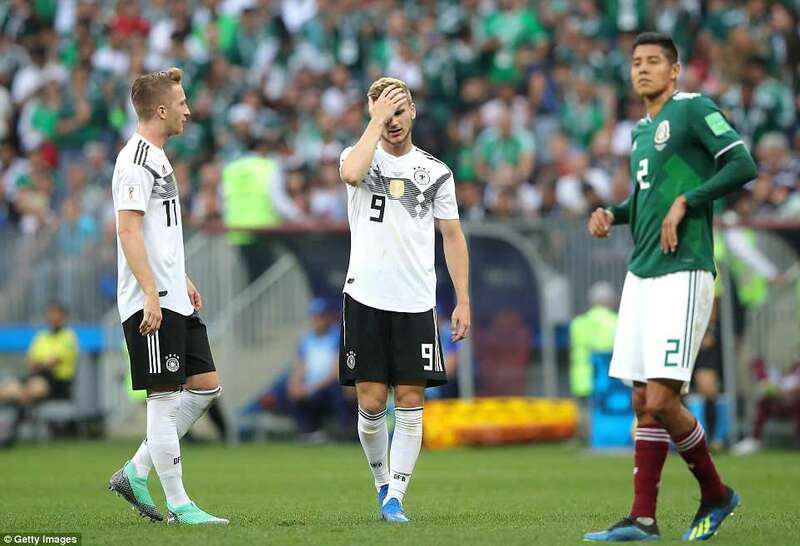 Defeat for the Germans, looking to become the first country to defend the title since 1962, also means they could now finish second in their group and face Brazil in the next round. 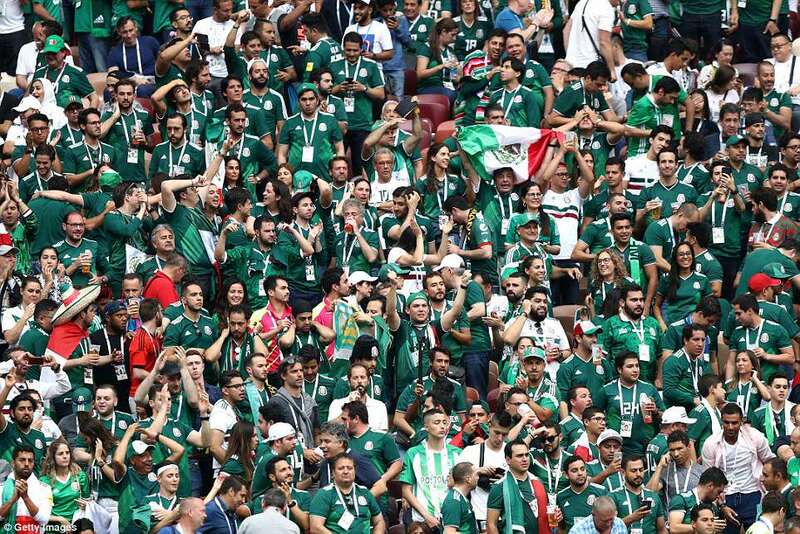 Some Mexico players were in tears on the pitch after an heroic performance cheered on by the vast majority of the crowd on a humid night of amazing football. 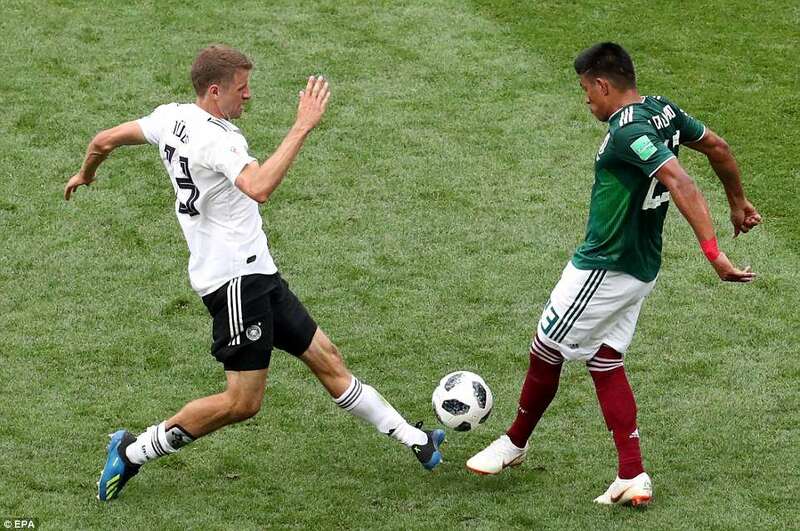 It was all go from the very first minute when former Arsenal striker Carlos Vela set up Lozano with an early chance. 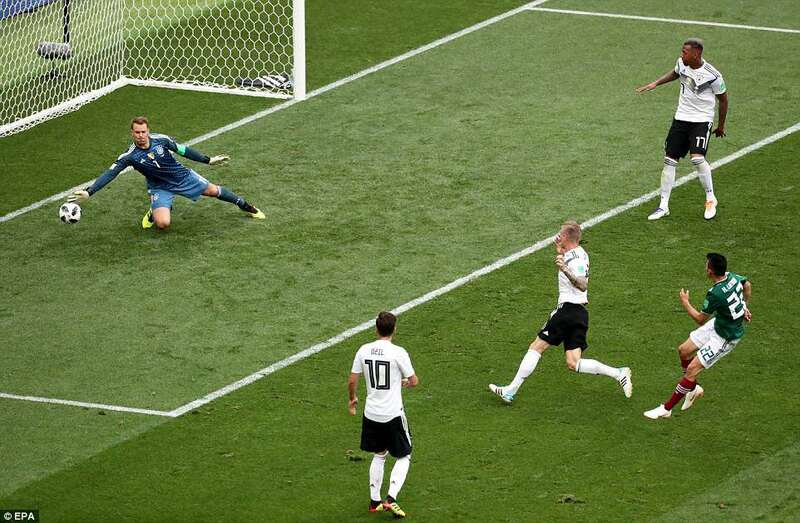 And panic followed in the German box when the corner came in and keeper Manuel Neuer desperately smothered the ball amid a goalmouth scramble. 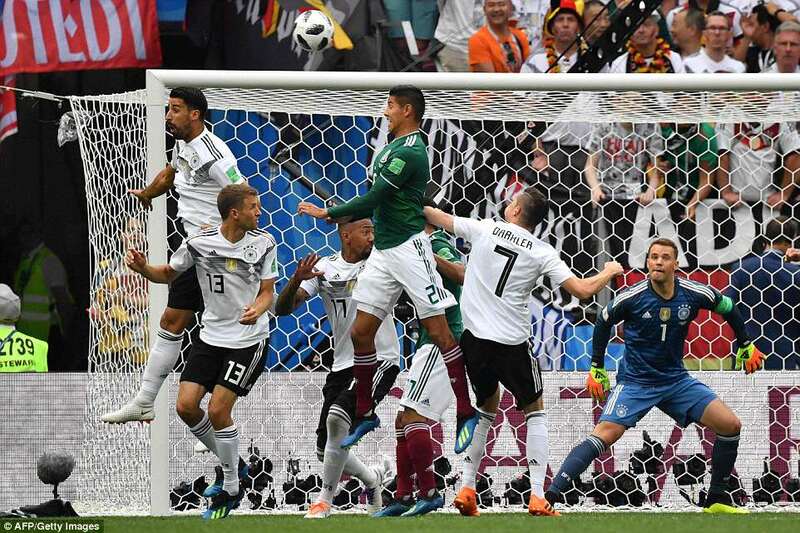 Germany: Neuer 6; Kimmich 5, Boateng 7, Hummels 6, Plattenhardt 5 (Gomez 79); Khedira 6 (Reus 60), Kroos; 7 Muller 6, Ozil 6, Draxler; 6 Werner 5 (Brandt 86). 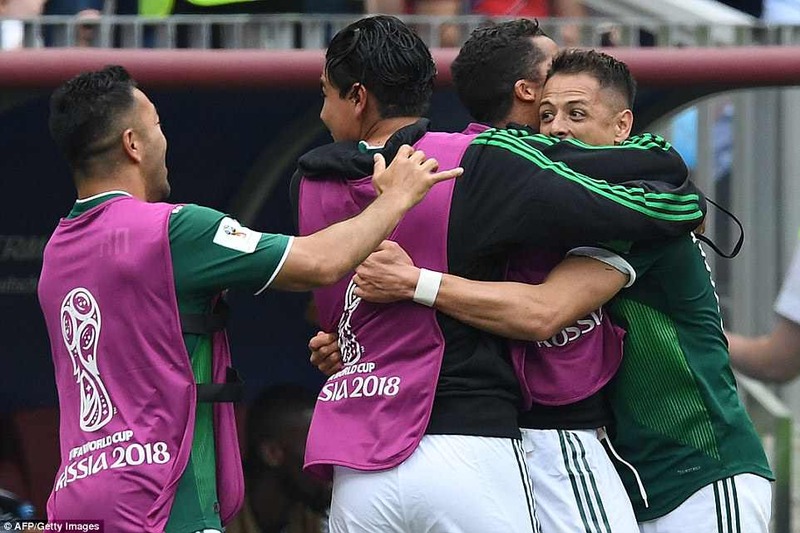 Mexico: Ochoa 8; Salcedo 7, Ayala 7, Moreno 6, Gallardo 7; Layun 7, Guardado 7 (Marquez 74), Herrera 7; Vela 8 (Alvarez 58, 6), Hernandez 8, Lozano 8 (Jimenez 66, 6). 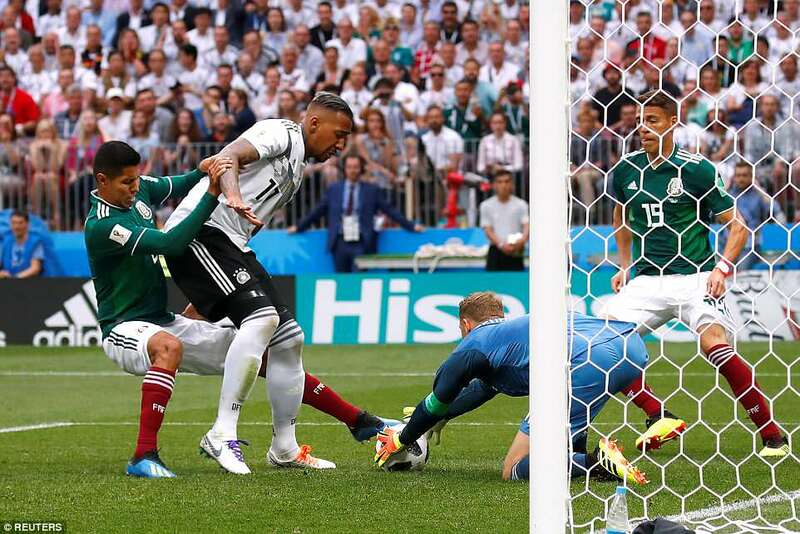 The crackling atmosphere brought out the best in both teams and moments later Germany had their first sight on goal with lone striker Timo Werner flashing one past a post. 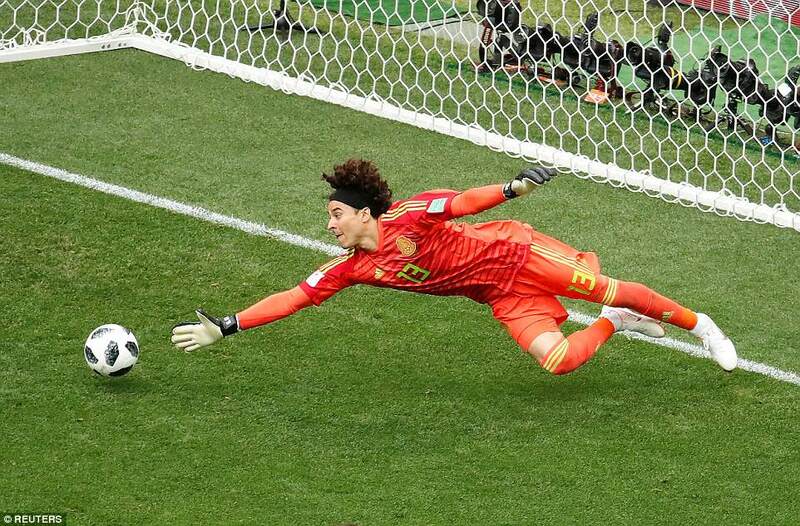 Mats Hummels had an effort saved soon after and there was not a second for players or supporters to catch a breath. 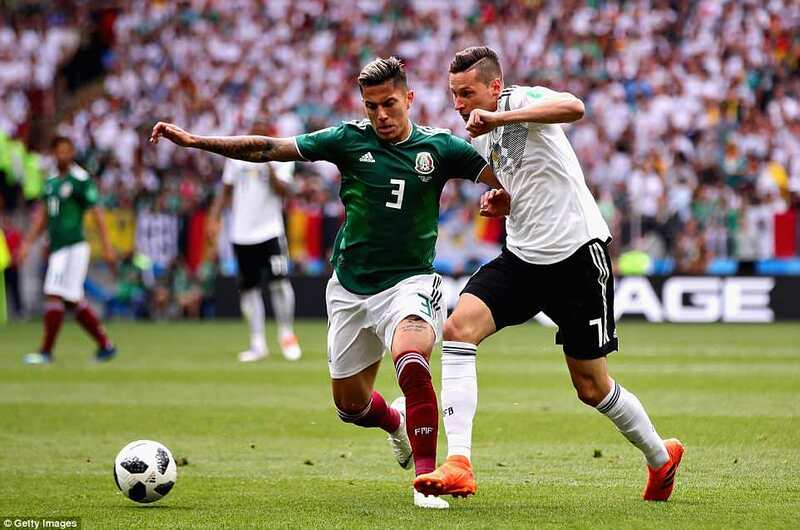 Mexico then enjoyed a spell of dominance as Germany looked uncharacteristically shaky in the heart of midfield and the back. 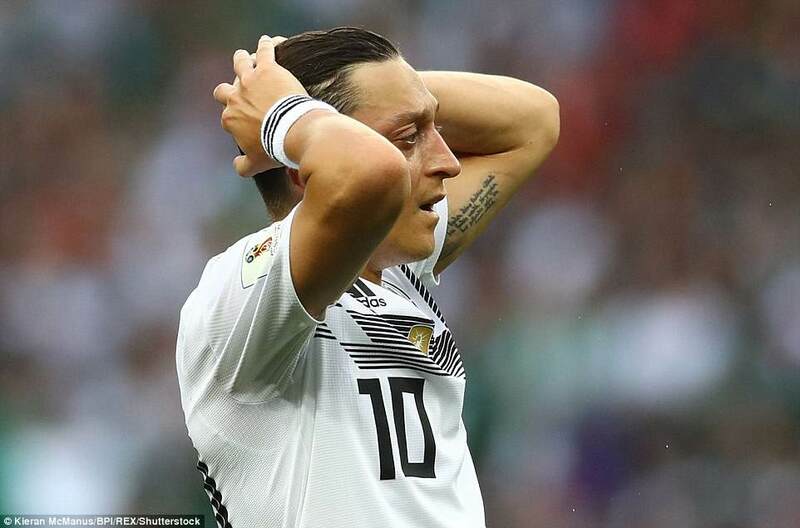 For a side that had not lost any World Cup game since 2010 it made for strange watching and the German fans were stunned into silence. 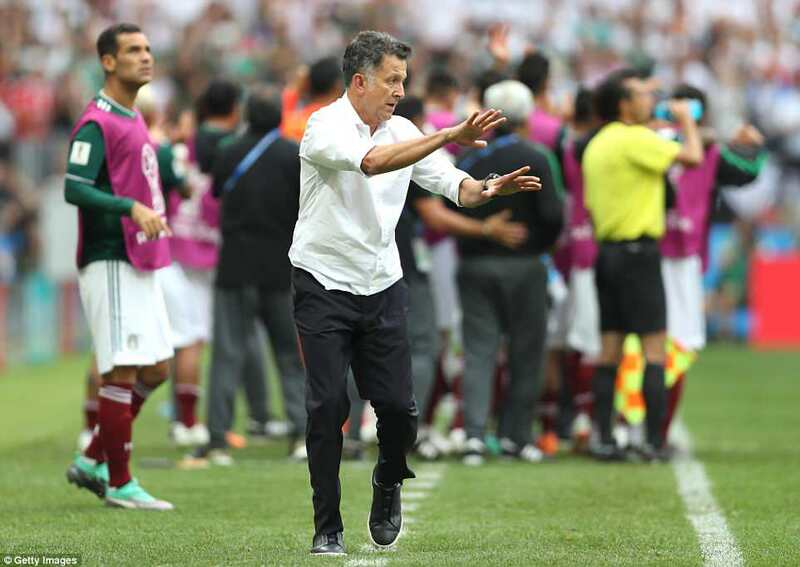 Mexico boss Juan Carlos Osorio had decided the best form of defence was attack to the extent he even left three forwards on the halfway line when defending corners. But it was end to end football, as if these were the closing stages of a match both sides had to win to go through rather than an opening group game. Great stuff. 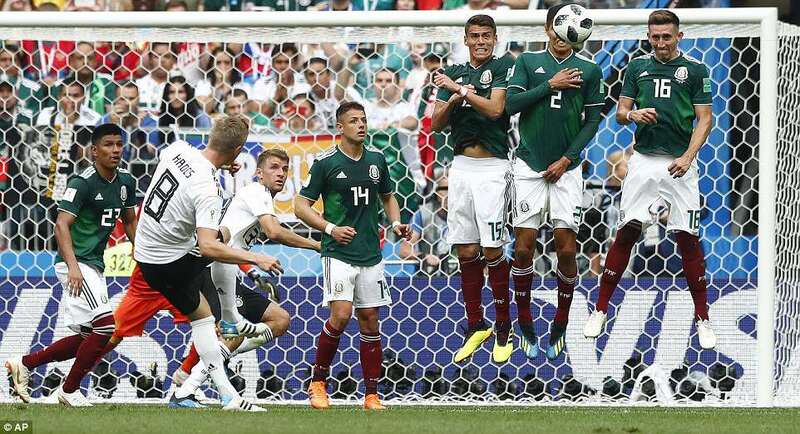 Mexico had 13 shots in the first half hour and it was with No 14 they took a deserved 35th minute lead. 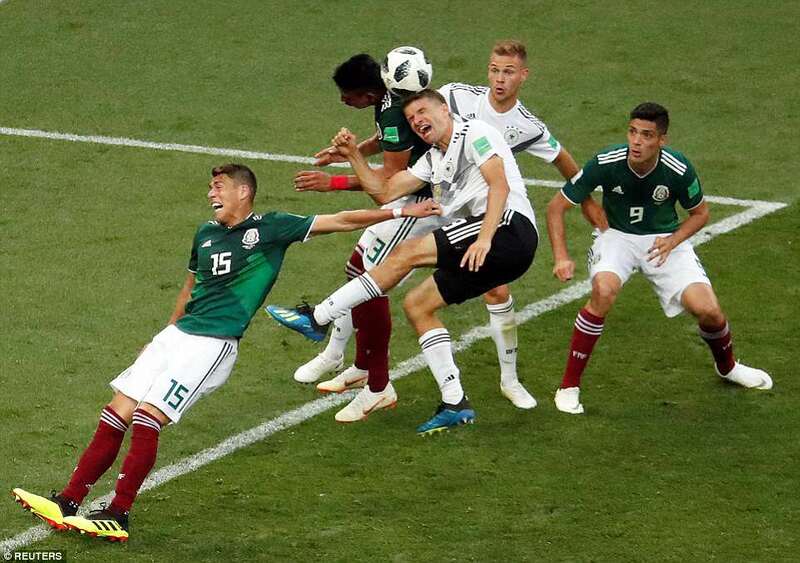 Germany’s defensive high-line was breached yet again as Hummels was turned inside out by a midfield one-two and when Lozano gained possession wide in the box before checking inside to drive in low and hard. 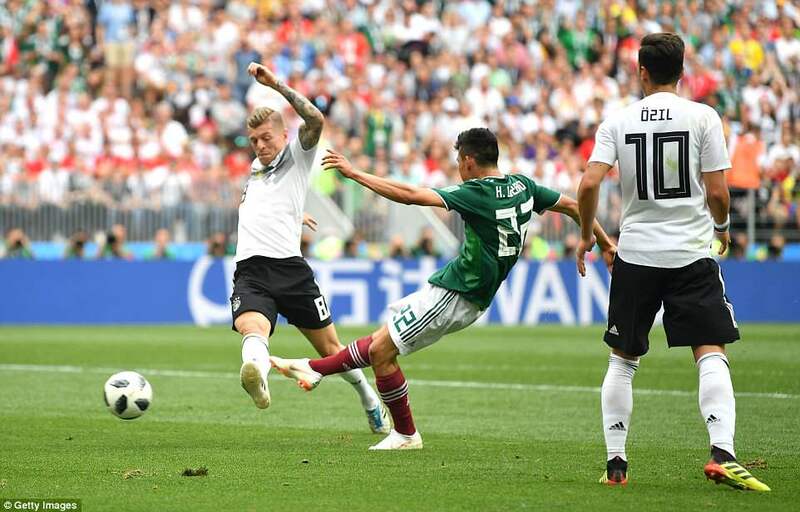 The goal sparked a brief German response in which Toni Kroos crashed a free-kick against the bar after a crucial finger tip save from Guillermo Ochoa. 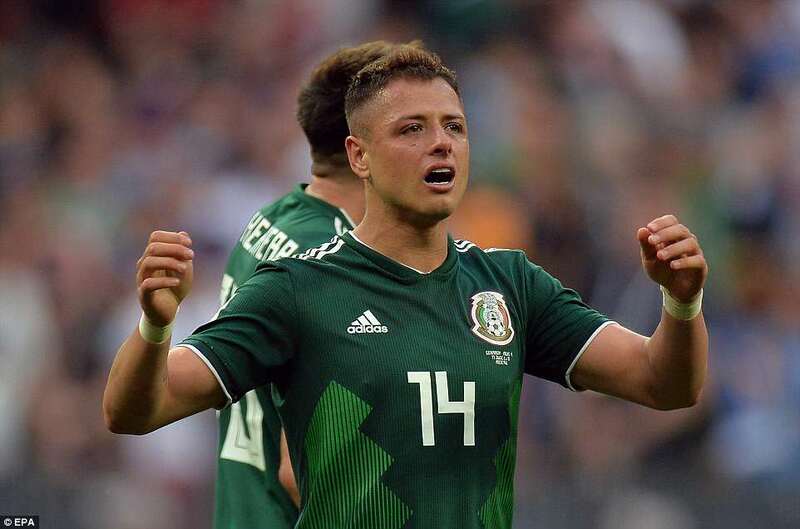 But the first half was played out to cries of ‘Ole, Ole, Ole’ from the Mexican fans as Joachim Low pondered how to get his men back into the match. 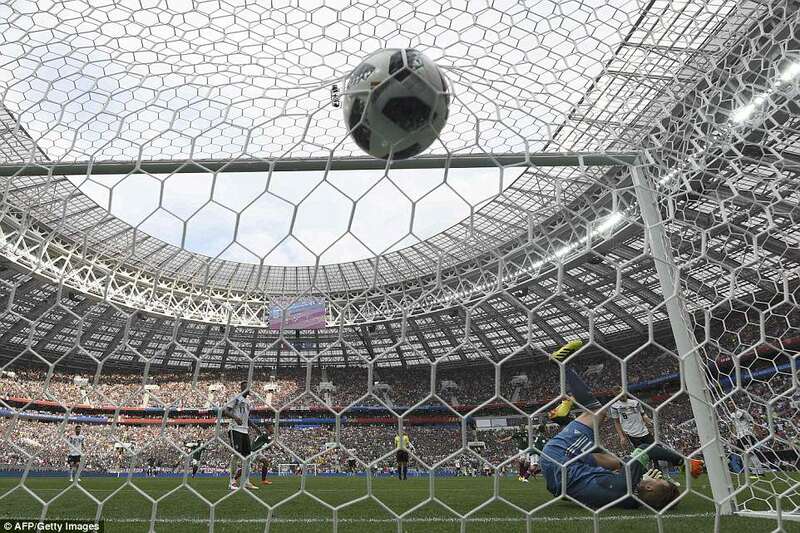 Mexico, understandably, struggled to maintain their momentum after the break but still looked the more likely to score. 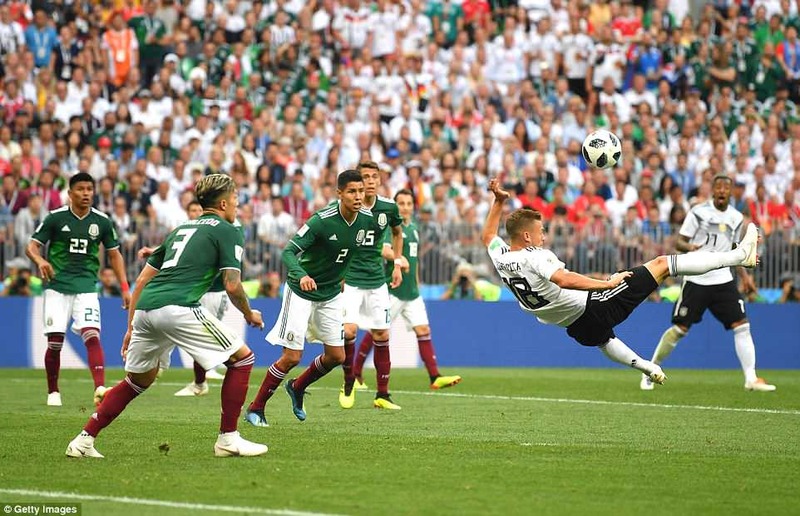 Germany retained their belief, though and their class was never far from the surface as Josh Kimmich showed with an overhead effort inches over the bar from a Boateng cross. 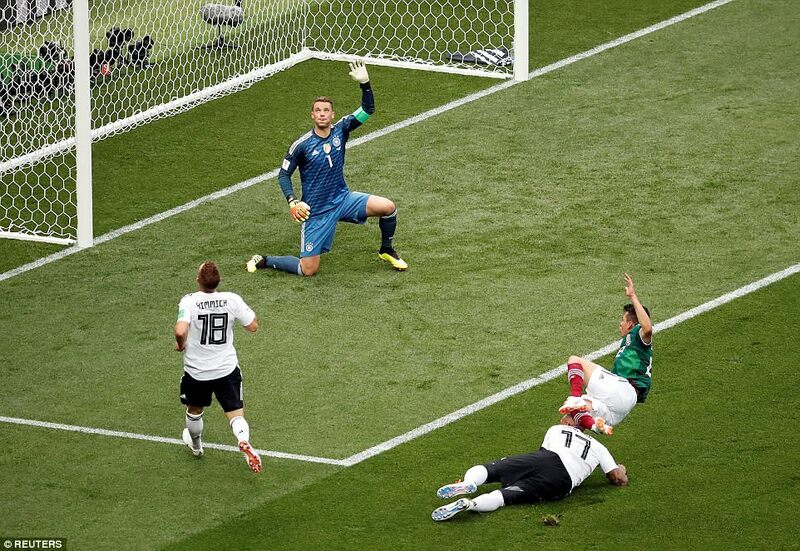 Mexico used all of their subs to slow down the game and to give some very tired players a well earned rest. 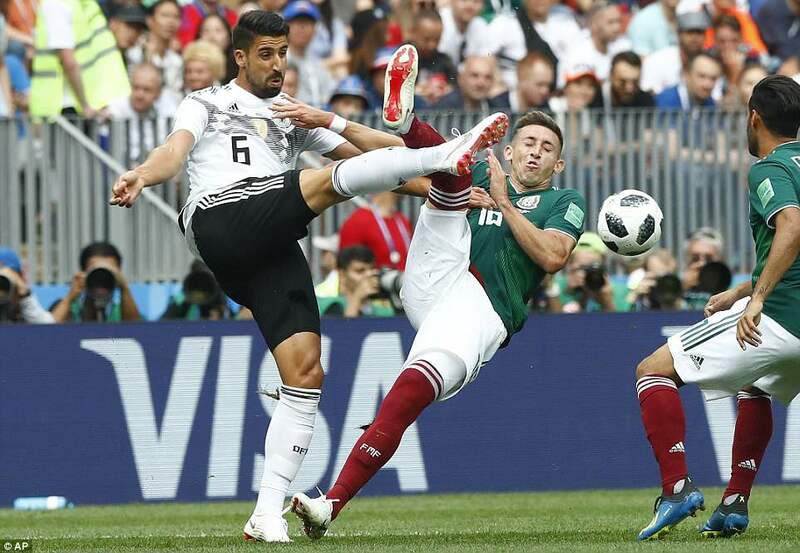 Germany then lay siege on the Mexico goal leaving them vulnerable to a counter attack and impressive Sevilla star Miguel Layun nearly got on the scoresheet twice. What a World Cup this is turning out to be with Russia scoring five, Iceland holding Argentina and Cristiano’s hat-trick for Portugal against Spain. England have not even kicked a ball yet, but they have some tough acts to follow. The pathetic sight of Thomas Muller desperately pleading with Iranian referee Alireza Faghani not to book him for shirt pulling summed up their night. 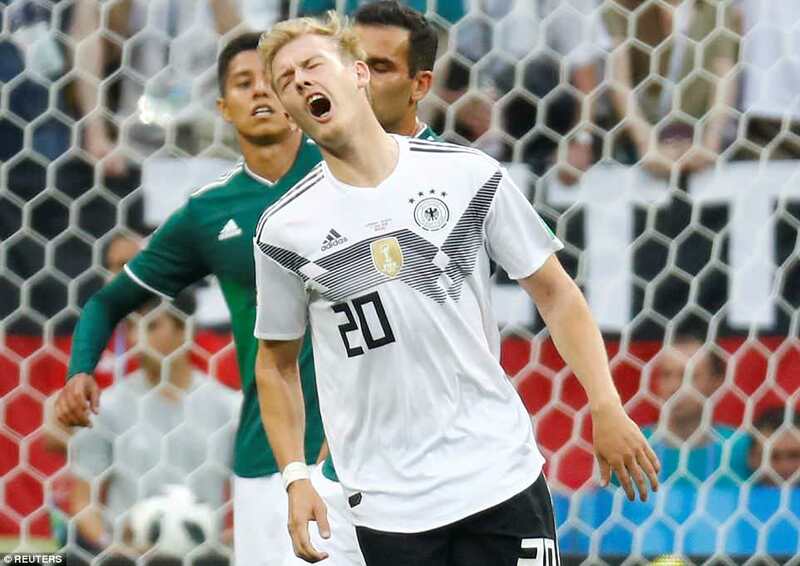 Substitute Julian Brandt nearly stole a late equaliser with a hammer blow that clipped a post from distance, but how unfair that would have been.